SAMSON– Space Autonomous Mission for Swarming and Geolocation with Nanosatellites is a satellite mission led by the Technion, supported by the Israeli space industries and integrated with student teams. The SAMSON mission will include a cluster of three nano-satellites, based on the CubeSat standard. The mission is set to launch at 2015, and is planned for at least one year in low earth orbit (LEO). 1. 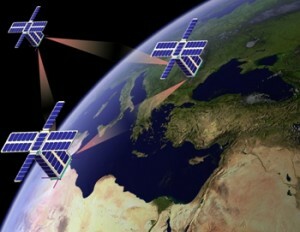 Demonstrate long-term autonomous cluster flight of multiple satellites. 2. Determine the position of cooperative terrestrial emitter (geolocation).